After a whirlwind Monday I long for some recuperation time on Tuesday. 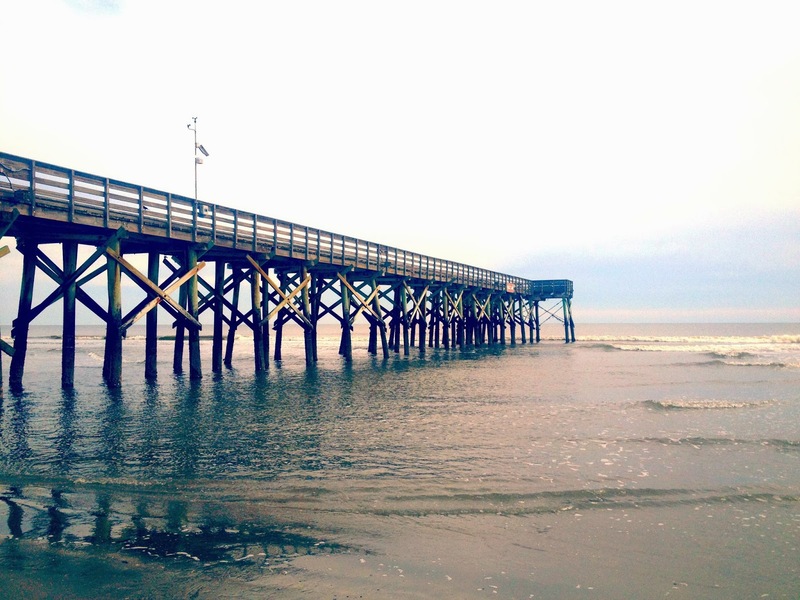 Perhaps these images of the pier on Isle of Palms, SC will do the trick. B and I loved walking here. Not a lot of people on the beach, although I bet it is probably a hot spot in the summer. I just love the shapes in this pic as well as the gorgeous colors on the water. Hopefully this helped you recup, I know it's only Tuesday but it's easy to get caught up with all the things we have to accomplish during the week. I am hoping for the strength to make it to Yoga. This week I'd love to accomplish finalizing some decorating touches around the house. I keep pushing it off but will make things so much more cozy if I complete them! I've started a new job so just trying to make it through the week smoothly! I'd like to get some blogging and reading done but it probably won't happen until the weekend. Lovely photos! We never made it to Isle of Palms during our abbreviated Charleston residency. I just stumbled upon your post. 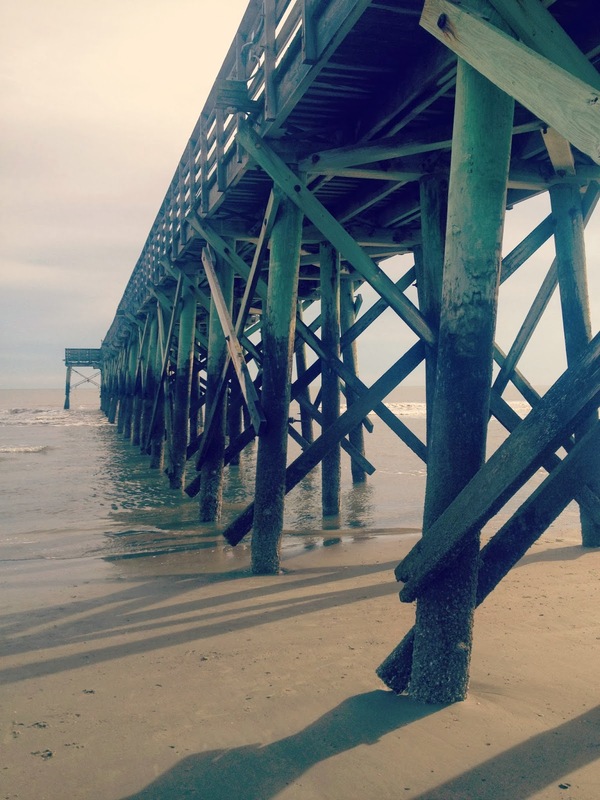 This may be a few months late, but I want to thank you for featuring Isle of Palms, SC. We have lovely beaches here that really showcase the beauty of nature with the rolling waves, uninterrupted skies, and the vibrant greens that border them on the sides. I'm glad you enjoyed your time here last January! Maybe you can come back again, especially now that it is summertime.